The 2009 Mt. 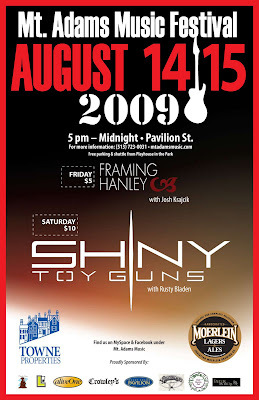 Adams Music Festival will feature performances by the Shiny Toy Guns, Framing Hanley, Josh Krajcik and much more this Friday and Saturday in one of the city’s hippest nightlife hotspots. Next articleQueen City Square: An Opportunity Lost? What would moving Hamilton County BOE mean for those without cars?